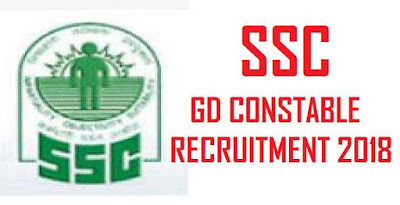 SSC GD Constable 2018 Online Application, SSC GD Constable 2018 new Registration process started at ssc.nic.in. Please complete your SSC GD Constable Recruitment 2018 registration and application process before last date 17 September due to heavy load of the application form SSC GD Constable 2018. These SSC Recruitment 2018 process, Eligible candidates can apply through official website from 17 August 2018 to 17 September 2018 only Online Mode. Earlier, the SSC had released the application form on July 25, because of some technical issues, the application dates have been delayed. Along these lines, the exam conducting authority has chosen to withhold the application process for 20 days. Applicants who have enrolled before require not enlist again for the exam. For apply to SSC GD Constable 2018 candidates must be Class 10 pass from a recognized college or board to apply for the SSC GD Constable 2018. Candidates age should be under 18-23 years old. 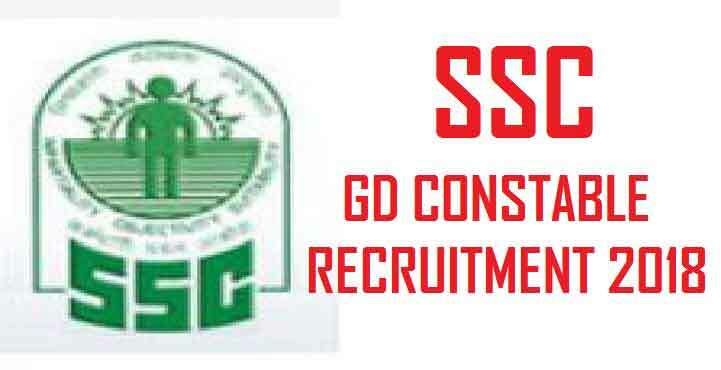 Note: The candidates should read carefully official notification before applying for SSC GD recruitment 2018. Please share this post with your friends on social media and keep a regular visit for SSC GD Constable Recruitment 2018 more updates.